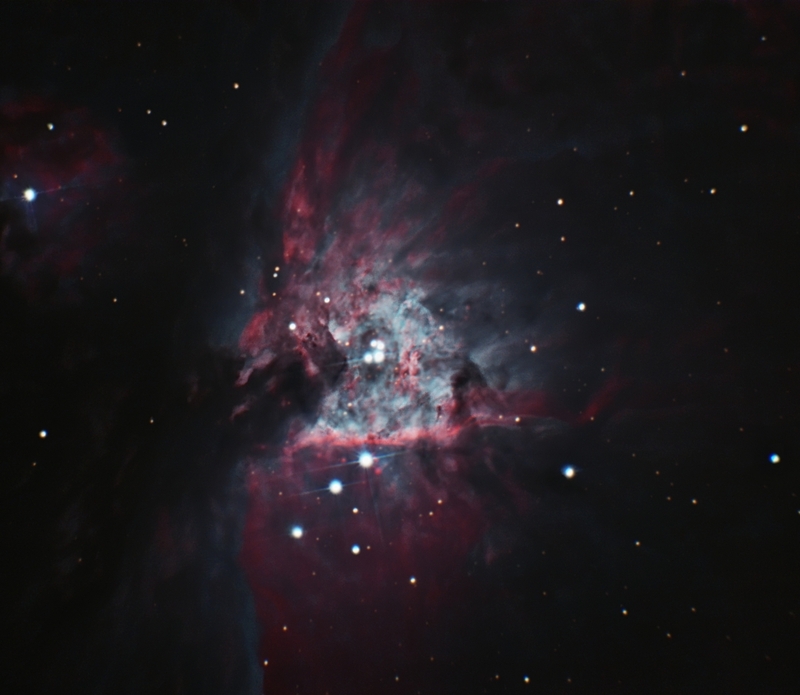 The is an urban image of the core of M42 taken from my driveway under light polluted skies. Processing Calibration, stacking, DDP and initial microcurves in Images Plus . Masked noise reduction , sharpening and contrast enhancement applied in Images plus 5. Image binned and cropped for web display.